Does anyone here have any experience with these, or can you suggest any alternatives. We had the same dilemma - and decided on the DIY option. So we bought lots of little spice-type jars, and filled them with all manner of stuff: spices, dried herbs, even soil from the garden and temporary exhibits such as lemon zest/juice etc. It wasn’t as complete as some of those amazing kits you can buy, but it definitely helped us home in on smells by isolating them this way. It’s a good place to start, in any case. I did similar when I was studying…I also sniffed an awful lot of items in the supermarket and shops…did get some strange looks! I did think of doing that, but my concern is that the scents will change/go off. I want to practice this regularly for several months/ years. Also it can be difficult to access wine faults like TCA. Were you able to preserve the aromas in any way? if its faults you are interested in, why dont you just buy the fault kit ? Haha! That is true! I want to make it part of my daily routine though, and I also want to be able to quiz myself. certain aromas certainly do - especially the spices: cinnamon, nugmeg etc. To be honest, we now simply sniff those on regular basis and when sufficiently bored - test each other on them. To that extent, any spice/dried herb in your spice rack would do. You don’t need something special for it. Fresh herbs you do need to replace - then again, we always have things like dill and fennel in the house, so that’s not a problem. I would also add - don’t stop at spices/herbs etc. Flowers and plants are another great thing to sniff, and you get a shot of endorphins in the process too - so all good. I bought those two - quite a few years ago now. It kept me amused for a while, but I am really not sure what it taught me. Comparing the vials with the real thing (where readily available) the vials where rather dull and insipid. And when you experience the aromas in wine, they are different again. With a quick google I couldn’t find them, but I am pretty sure that Anne Noble published instructions for making the reference aromas for the entries on her aroma wheel. If you are interested, but cannot find them, give me a shout and I will have another try. I got the nez du vin and, personally, it was worth it for me. My nose couldn’t quite get some of the WSET descriptors as they were geared more to a western palate (or experience?) and I had to to calibrate quite quickly. I also play this as a game with my kids so there’s a lot of use being made of it. I second the advice to smell while shopping in supermarkets and while cooking, as well as ‘fixing’ the smell to a memory or image. It’s serious money though so if you’re not up against an exam, going the DIY route as well as writing tasting notes for stylistically typical wines will really help. 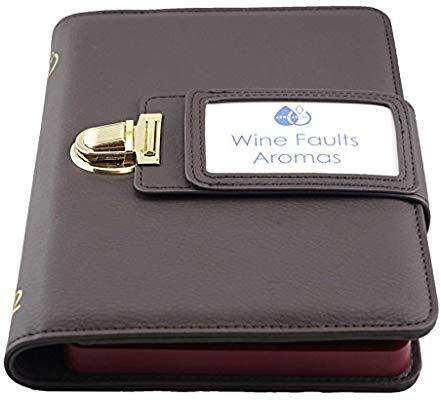 I haven’t noticed it in the room, but the Wine Faults kit box itself absolutely reeks of TCA, more so I think than when you sniff the liquid in the vial. The big box of aromas has an interesting overall smell too. It’s rather beautiful in my opinion, and I have only ever encountered it in wine on two occasions: both in mature Semillon. The second time, I was tasting the wine blind and correctly identified the grape on the basis of that interesting nose. I’ve just bought the 54 aroma kit, albeit it’s quite expensive. I would say the majority of Aromas are realistic and help train your senses, but some I still can’t get after weeks of trying as they just don’t seem to emulate the real thing. I can see in one of the threads someone mentioning about just opening up to smelling what’s around you and that’s a great start. I also read a book about how someone trained their sense of smell and ended up a MS , Cork Dork. It’s a great read and very useful. Forgive me if I’m wrong but Bianca Bosker as far as I’m aware is not an MW . It’s an interesting book ! She is a Certified Sommelier, as you say in parentheses. But not an MS, which stands for Master Sommelier - the highest level that very few people reach.